Growing up, Meiji chocolates have been one of my favorites growing up. Whether it was the cute apollo strawberry chocolates or the cute kinoko no yama mushrooms, these adorable-shaped chocolates were always fun to eat as a kid, and an adult. 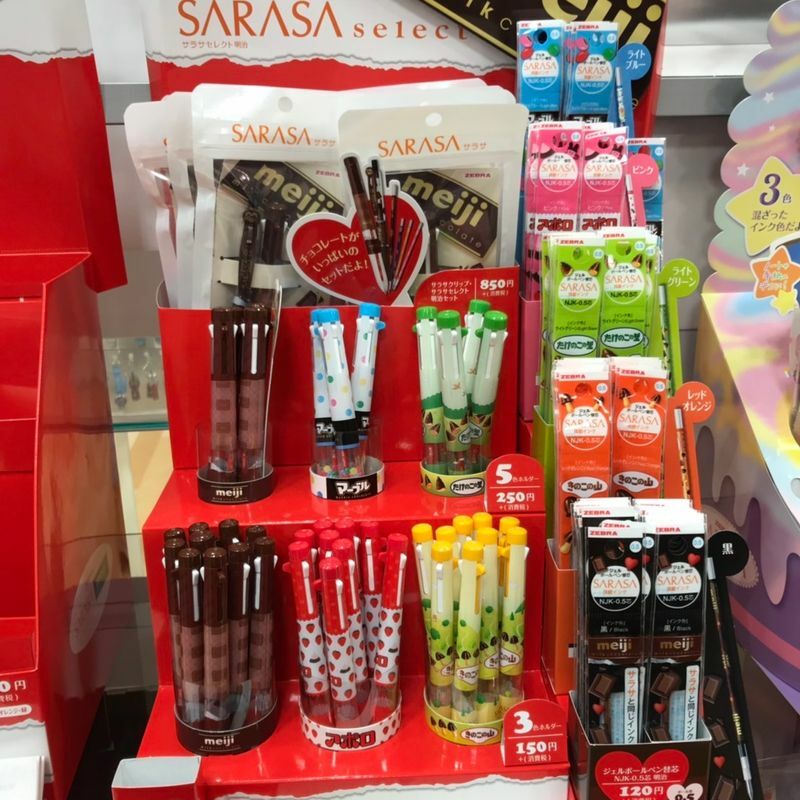 While browsing around PieriA and Pierre Riviel (same company) at both of my malls, I came across this cute collaboration of Zebra's Sarasa Select Clip pens and Meiji Chocolate! 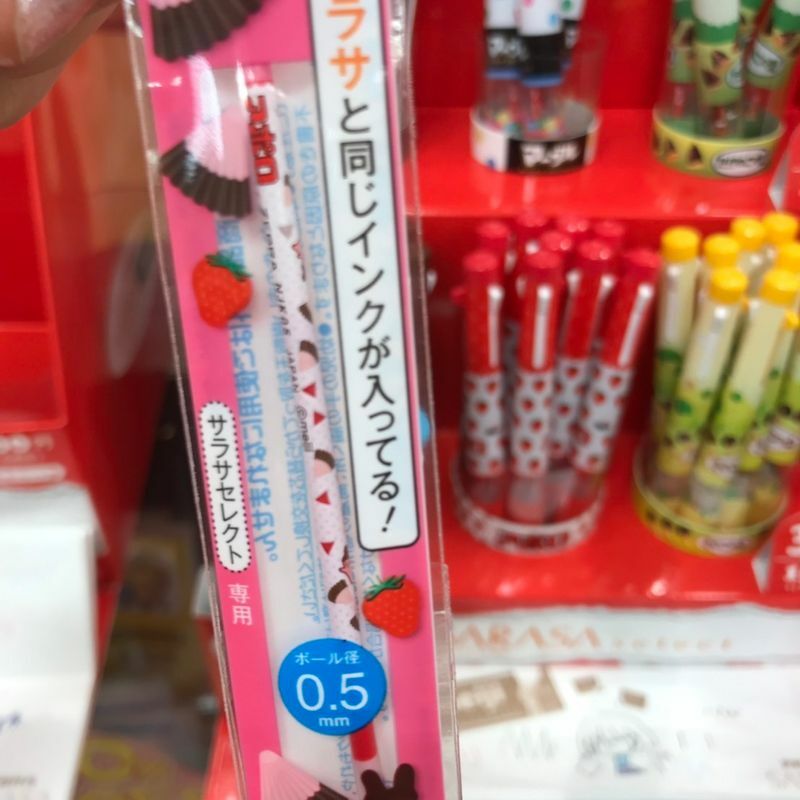 Japan sure knows how to get you with their amazing stationary selection and who could resist this cute collab?? 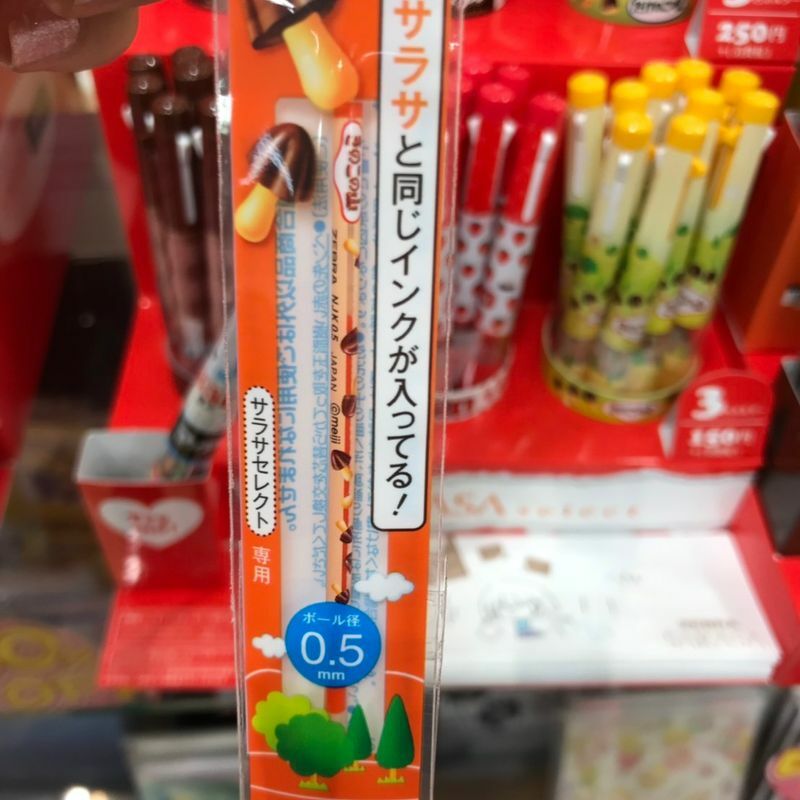 The meiji chocolate collab included the basic meiji chocolate, marble chocolate, apollo, kinoko no yama, and takenoko no sato. What made these pens irresistible was the detailed refillable inks. 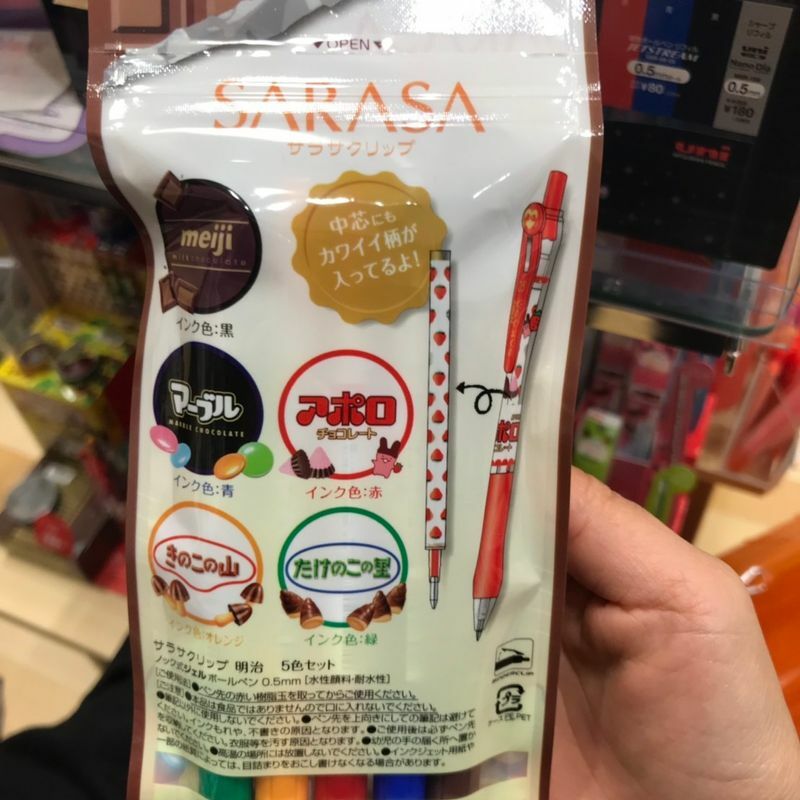 Obviously, Japan know's how to sucker you into buying everything because how could you not? Everything of this collaboration, from the packaging to little details was calling me out. 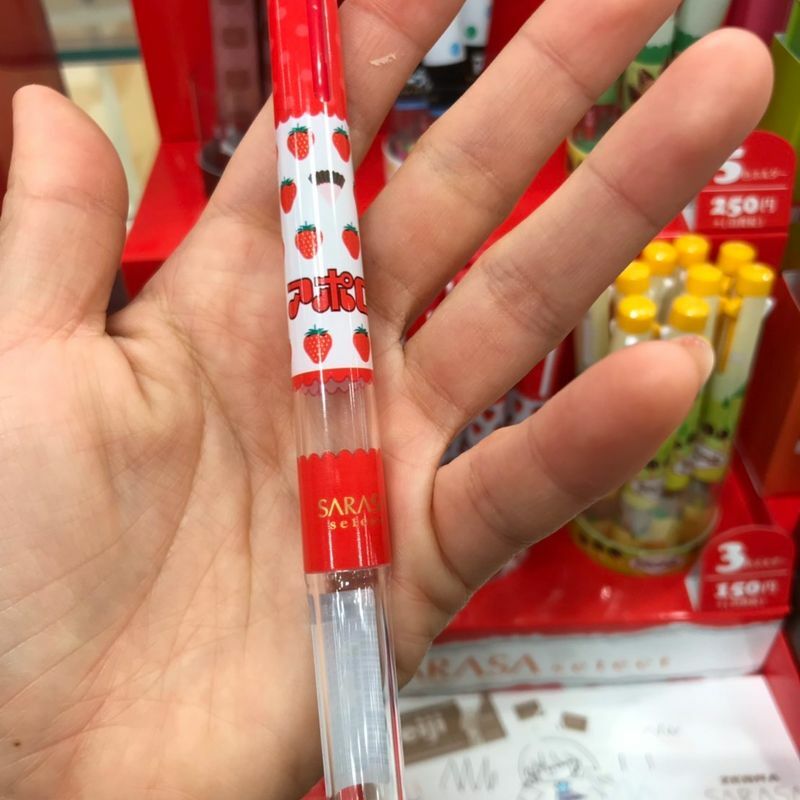 Luckily, I already have a bad habit of collecting Frixion pens, so I settled for only one pen, the individual Apollo in red ink. I had to visit two stores in order to get it, since most of these were already sold out. 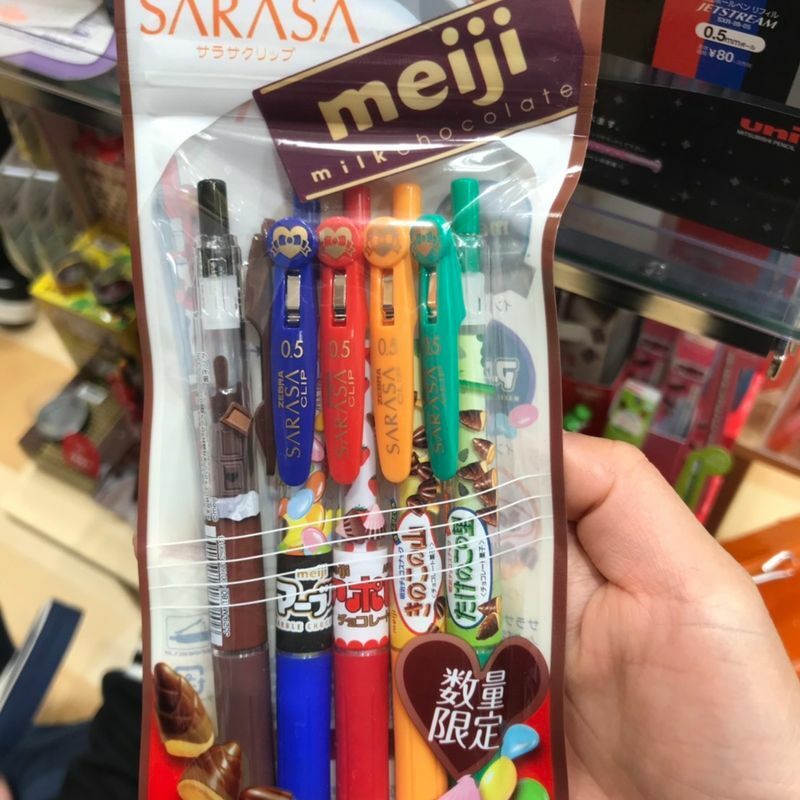 I'm not sure if Meiji is making a comeback with their classic chocolates, or if it is chocolate season, but if you can get your hands on this limited edition pen, you may as well get the entire pack! Also I noticed that Uniqlo has a Meiji collab going on right now as well!